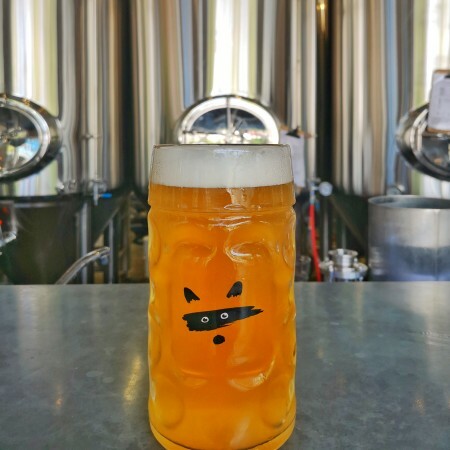 TORONTO, ON – Bandit Brewery has announced details of the new beer brewed especially for the 3rd annual Bandit Oktoberfest celebrations taking place at the brewpub this weekend. Hoppelhosen started out with a classic Lager yeast and we stuck to the classic Pilsner recipe as much as possible. The real twist came in the dry-hopping process, in which we used Mandarina Bavaria, Huell-Melon, and Hallertau Blanc. The very trendy Mandarina Bavaria hops, like the name suggests, bring forward notes of sweet mandarin. Huell Melon adds some notes of honeydew melon and strawberries, and Hallertau Blanc makes the beer burst with strong fruit aromas and sweet grape notes akin to a Sauvignon Blanc. Hoppelhosen will be available starting today (September 28th) in bottles in the Bandit retail shop, and on tap in the brewpub where it will be served in Oktoberfest steins throughout the weekend.